Child-size seating allows your children to sit down on their own and feel comfortable since it is tailored to fit them perfectly. 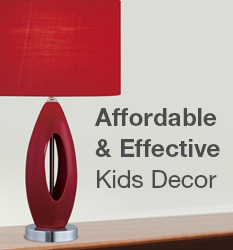 Choose from a wide variety of chair styles and colors to match your child's room or other areas of your home. Simply Kids Furniture has your kids seating needs covered. You'll find guaranteed lowest prices on children's chairs such as chairs for children’s desks, casual seating chairs, game chairs, high chairs, & more. We also carry a great collection of stepping stools that are ideal for allowing your child to sit down and tie their shoes, reach the sink, or access their children’s dresser. With a wide variety of chair styles and colors, you’ll be sure to find the perfect seating for your child’s room. You’ll also find an elegant selection of children’s chairs and kids rocking chairs for other areas of the house. Childrens chairs from Simply Kids Furniture are the perfect size for children and thus allow your young ones to sit down and get off without your assistance. The fact that the size of these kids chairs is tailored for children specifically makes them much more comfortable to sit in. This helps with the fussy restlessness kids often feel when seated. Looking for the perfect chairs for kids to sit down and watch a movie or play games? 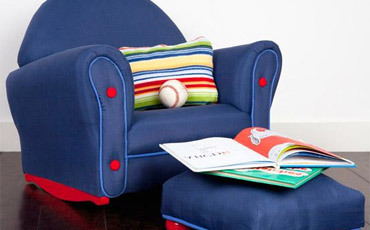 You’ll find the perfect solution in our kids game chairs section. Remember, at Simply Kids Furniture you receive Free Shipping and a 100% satisfaction guarantee on all children’s chairs.